Most college and university campuses have rolled out some form of a digital signage solution on their campus, yet the existing solution may no longer be meeting their needs. This eBook will walk through some of the reasons why it might be a good time to make the switch. It’s a tremendous challenge for school officials to communicate effectively with students on campus. Despite how digitally connected today’s college students are, Higher-Ed officials struggle to deliver updated messaging in an easily consumable format. 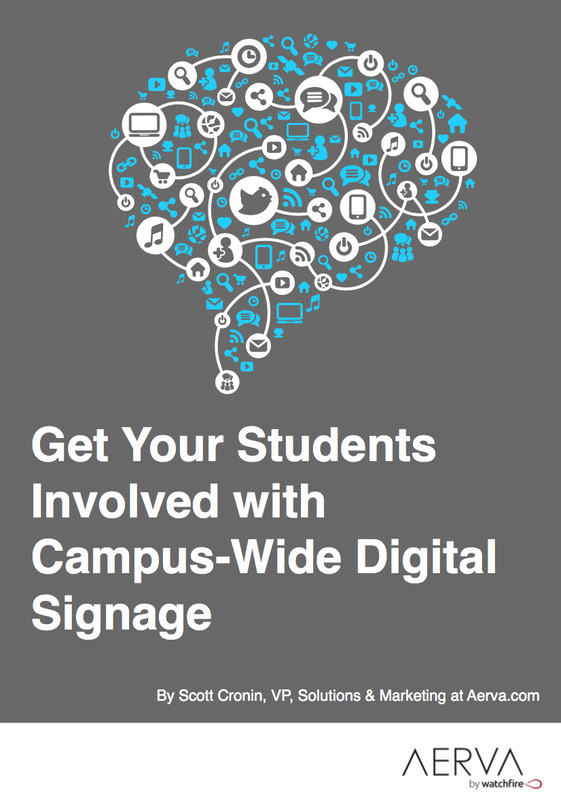 Learn a few ways to increase student involvement on campus in Digital Signage in this eBook. For individuals tasked with implementing the entire enterprise digital signage network from concept to content management, the choices and options are truly daunting. This guide will give you a quick overview of some of the choices you will have to make.